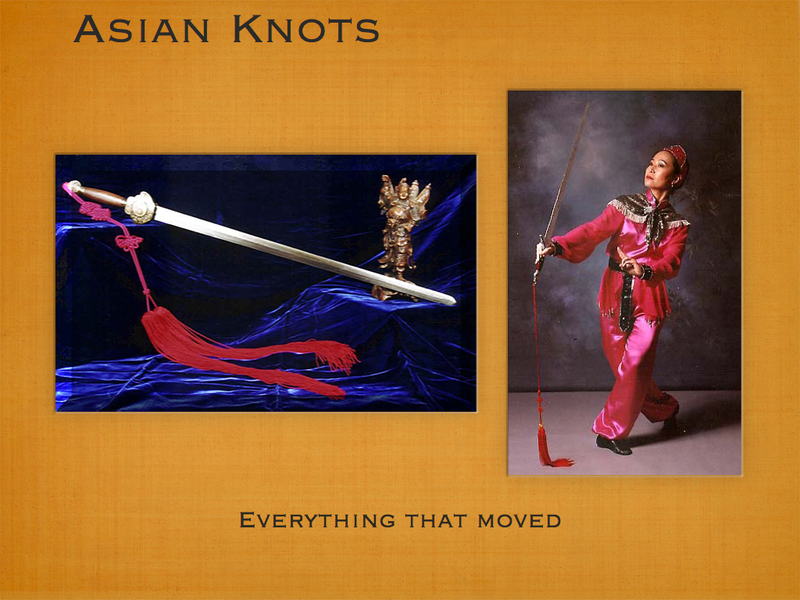 Notes: The Pan Chang knot (also known as the Endless knot or the Mystic knot ) is one of the eight buddhist treasures. It represents the endless cycle of life, the infinite wisdom of Buddha, the duality (yin and yang) of existence, and is also a symbol of balance and harmony. Additionally, from older traditions, knots are thought to be where gods dwell and as a result bring good luck. It is for this reason that monks would wear knots and knots are hung in temples. shutara: “flower knots”. knots are where the gods dwell, and knots hung in a room will drive away evil spirits and invite good fortune. Shutara were hung on a monk’s shoulders over the formal surplice to ensure that the words of the sutras would not be dispersed. 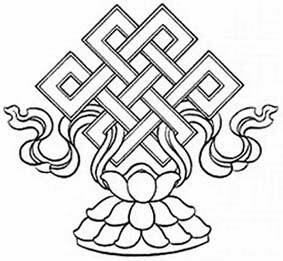 Text: The endless knot is one of the eight buddhist treasures. The gods are said to dwell in knots.